‘A pint and a half one’ refers to a pint of Guinness and a glass of Irish whiskey. The perfect combination whilst reading the paper or talking about the weather as is traditional in any country pub around Ireland. We will take a journey around some of Ireland’s best craft breweries and Irish whiskey distilleries. Begin to understand these working crafts that are just coming back to their former glory. Enjoy wonderful local food and visit some artisan food producers and smokehouses along the route and hear their story. Enjoy the stunning scenery on this route from countryside to the Cliffs of Moher. Experience the atmosphere in small Irish cities to small Irish villages with overnights in Cork city, Kinsale, Killarney, Dingle and Lisdoonvarna. Enjoy the many heritage sites and local experiences that is only possible on a small group tour which makes it all much more personal and ‘good craic’. PRICE: $1345.00 per person / double occupancy – Deposit of $345 required to reserve a space on the trip. Limited spots available. 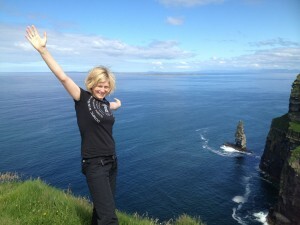 Trip leader is Mia Tobin, an local Irish tour operator who has plenty of experience in guiding tours of Ireland. Her specialty is taking people on activity and cultural adventure tours to the hidden corners of Ireland. 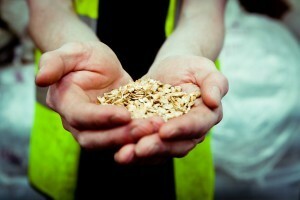 Depart Dublin and travel to Ireland’s Ancient East which also happens to be the best barley growing region in Ireland. Walsh’s Distillery is located in a beautiful 18th century estate in Co. Calow. The distillery tour takes you on a sensory experience through the manual distillery with a tasting of Writers Tears at the end. This whiskey got it’s name from the many famous Irish playwrights through the 19th and 20th century, names like Lady Gregory, George Bernard Shaw, James Joyce, W.B. Yeats who all experienced writers block at times and found the best way to overcome this was to take refuge in their local pub and drink ‘uisce beatha’ – Irish for the Water of Life to get re-inspired. After our taste of inspiration we will take an organic lunch and enjoy it by the 13th century St Marys church in Gowran. Continue South to Co Waterford and take a scenic drive up into the Comeragh Mountains, enjoy a leisurely walk with the sheep to see Mahon Falls, a 240 foot waterfall with spectacular views over the Copper Coast. 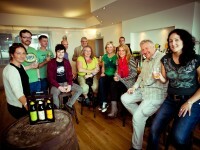 Visit Dungarvan Brewing Company, a family run brewery in town making a great range of bottle conditioned beers. Overnight in the coastal harbour town of Dungarvan, Co Waterford in a beautiful B&B called Cairbhe House. Stroll into town to enjoy dinner and Dungarvan beers on cask at Merry’s gastro pub. Start the day with a coastal drive to Ardmore, Co Waterford. Visit the 5th century monastic site of St Declan, a 12th Century round tower and cathedral in this seaside town. There’s a beautiful cliff walk to enjoy in good weather. Onto Ireland’s most well known distillery – Jameson Distillery in Midleton, Co Cork where John Jameson started triple distilling whiskey in 1780 and thought it was “So smooth I would drink it even if my name were not on it”. Lunch in Midleton and pay a visit to the Choctaw monument which is a fitting tribute to the American Indians who sent financial aid to the Irish people during famine times. Drive to Kinsale to visit Charles Fort, a military fort which was built by the English in the 1670’s to a star fortification design – a layout specifically designed to resist attack by cannon. This heritage site has been associated with some of the most momentous events in Irish history. To end the day we visit Sam Black who has been living the dream since 2013 when he opened Black’s Brewery with his wife Maud. Sam has a lot of enthusiasm for his brewery and is producing a tasty range of beers. Sam also has his distillers license and is producing Irish Poitín, gin and a traditional US moonshine. Always a favourite on the tour. Overnight in the quaint and colourful town of Kinsale which is full of great restaurants, pubs and live traditional music. Follow the Wild Atlantic Way to Timoleague, Co Cork to visit the ruins of Timoleague Abbey, the first monastic settlement dating back to the 7th century on this site. The friary was founded approximately 600 years later and is steeped in history. For nearly forty years Ummera Smokehouse has built up an enviable reputation for producing some of the finest smoked meats and salmon available. Taste the natural flavour and texture, blended by careful curing, and gentle smoking over smouldering oak fires. Visit one of Ireland’s newest craft distilleries, West Cork Distillers in Skibberean on the Wild Atlantic Way. We will enjoy a tour of the distillery and lunch in this small fishing village. Travel to Killarney, Co Kerry, a very popular travel destination and a vibrant town, the incredibly beautiful surrounding countryside makes Killarney a very special place. Enjoy Killarney National Park the traditional way – by horse and cart just as Queen Victoria did in 1861 when she was a guest of the Herbert family who owned Muckross House. The park was established in 1932 to protect one of Ireland’s most precious natural habitats of ancient woodland, spectacular waterfalls and quiet lakes. Visit Killarney Brewing to end the day with a tour of this new brewhouse. It is located in the restored the old Killarney Mineral Water drinks facility. Paying homage to tradition and folklore all the beers are named after local myths and legends. Overnight in Killarney, enjoy the many choices of restaurants and pubs with live traditional music. On the short journey from Killarney to Dingle, we will make a stop at Inch Beach, a long flat stretch of beautiful sands and shallow waters perfect for swimming. We have had hardy morning swimmers in the past brave the Atlantic, just putting it out there!! Dingle is one of those charming towns that is a highlight for many. It’s a bright and colourful town packed with local arts and crafts shops and a pub thrown in at every glance. We will take the stunning scenery on the Slea Head Drive to the far most Westerly point of Ireland. There are several archaelogical sites on the route aswell as Ireland’s most Westerly brewpub called Tig Bhric or West Kerry Brewery. This is a real hidden gem, brewing beer in very small batches – some in cask and serving them in the adjoining pub. Adrienne, the brewster is a passionate artist and takes pride in her garden using botanicals in the brewing process as much as possible. The summer ale uses rosehips and the autumn stout uses blackberries both creating great aroma and flavours. The cosy pub is a place you could get lost in time and forget entirely about the world but on we must go to Dingle Distillery. This is an up close and personal tour of the distillery which is one of Ireland’s newest craft whiskey distilleries. They have been whetting our appetites with Dingle gin and vodka for the last 3 years but the wait is nearly over. Dingle whiskey is ready to be released and we are excited to taste it. Overnight in Dingle, a haven of great restaurants, pubs and live music. A trip to Clare would not be complete without a visit to the Cliffs of Moher. Standing 214m (702 feet) high, the cliffs stretch for 5 miles along the Atlantic coast. O Brien’s Tower has served as a viewing point for hundreds of years. Travel through the unique Burren region, a limestone karst landscape which was formed 350 million years ago. This protected landscape is the only example of it’s kind in Western Europe and is of great interest to geologists and botanists alike as its unique soil and climate allow Alpine, Arctic and Mediterranean plants to grow side by side. Travel to Lisdoonvarna, Co Clare where it’s a requirement to learn Christy Moore’s famous song of the same name and sing it loudly on your approach into town. Visit an impressive duo of neighbouring businesses, firstly the very well known Burren Smokehouse for a talk and tasting of a variety of salmon smoked on site before proceeding to well known local character Peter Curtin’s Roadside Tavern & Brewery. This traditional pub has been run by several generations of the same family since 1893 and Peter recently started brewing their own range of beer in the same room above the pub in which he was born! Lisdoonvarna which also happens to be the match-making capital of Ireland and hosts an annual Match-making festival every September. We will overnight in Ballinsheen House in Lisdoonvarna so you can return to the Roadside Tavern for good pub-grub, pints of Peter’s craft beers and live traditional music. On our last day, we will travel through the Burren region stopping off at Killinaboy Church to see the extent of this limestone karst landscape. Passing by Killaloe, a picturesque village on the banks of the River Shannon we visit the last of the Irish brewers which is always a highlight. Cuilan Loughnane, the owner & brewer at White Gypsy is one of the early pioneers of Irish brewing and has built up a great reputation for his quality beers served locally and bottled for the restaurant trade. He will talk us through his unique style on a tour of his state of the art brewery. White Gypsy pride themselves on sourcing as many ingredients as possible for their delicious craft beers locally, even testing the Irish climate by trying to grow their own hops. It is at the forefront of the country’s brewing renaissance and has a great story to tell. We will be treated to a delicious artisan lunch by Joe at his pub combining local meats, salads and cheeses with the beers. Last stop and ‘drop’ at Tullamore D.E.W., named after founder Daniel E Williams who started distilling on the banks of the canal in Tullamore almost 200 years ago.